On 29 and 30 May, representatives of CED member and observer organisations met in Riga, Latvia for the regular six-monthly General Meeting. The meeting was hosted by the Latvian Dental Association, in the context of the Latvian Presidency of the EU Council. It started with a welcome address by the Deputy Secretary of State on Health Policy Matters, Ms Egita Pole, followed by the President of the Latvian Dental Association, Dr Andis Paeglitis. 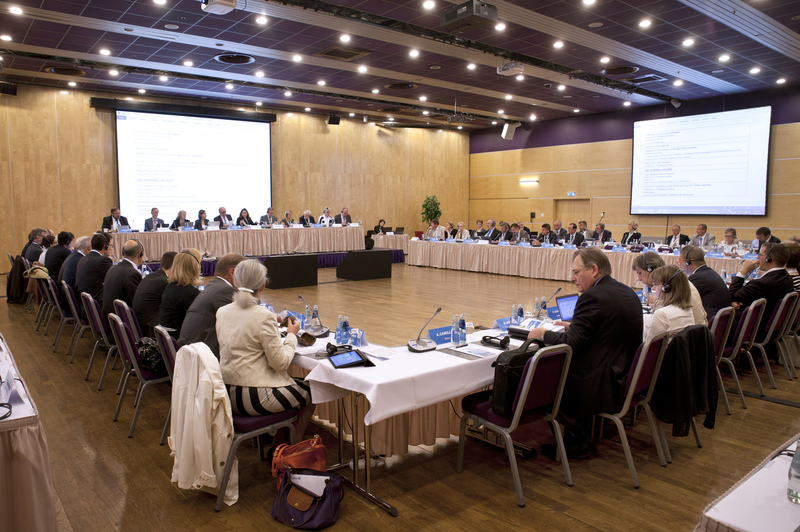 During the plenary meeting, CED members adopted a Resolution on Standardisation and a Resolution on Dental team relationship with patients. The members of CED also adopted three statements on whitening lamps, on common training principles under Directive 2005/36/EC and on Health in Transatlantic Trade and Investment Partnership (TTIP) agreement. Moreover, CED members also discussed the developments in the area of eHealth, infection control, ethics and liberal professions. For further information, please see CED press release.